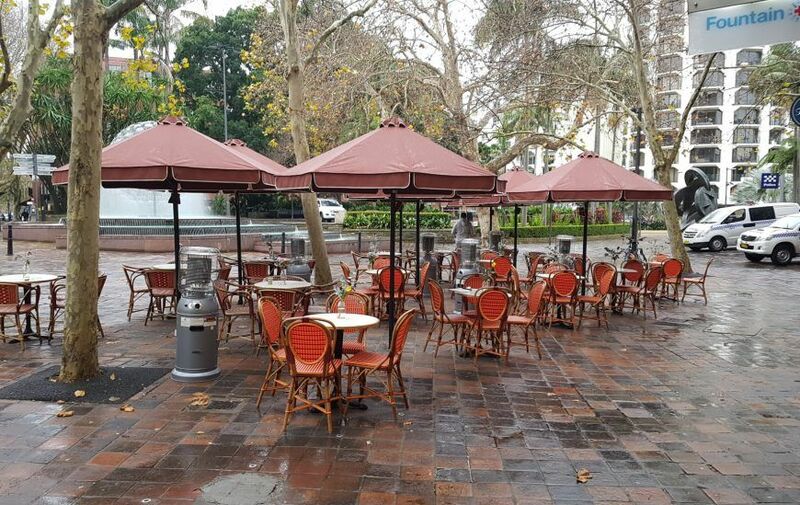 The HE Cafe & Market Umbrella is a reliable outdoor umbrella that is long lasting. 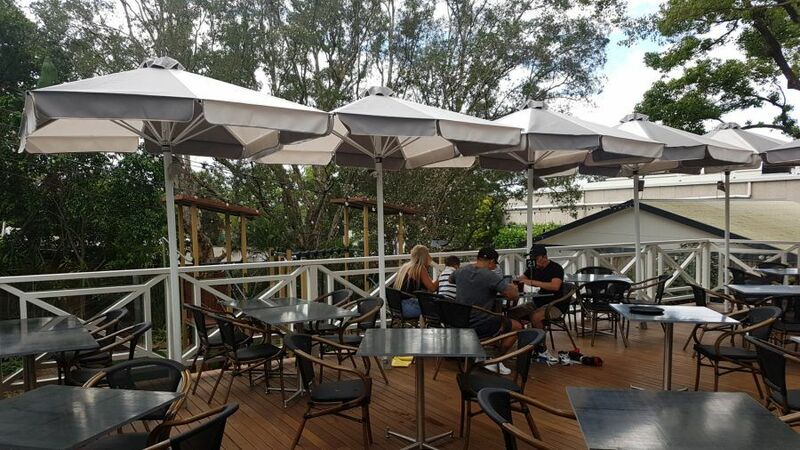 As the name implies, it is the perfect umbrella choice for cafes or outdoor eating areas and is specifically designed to easily fit outdoor settings. 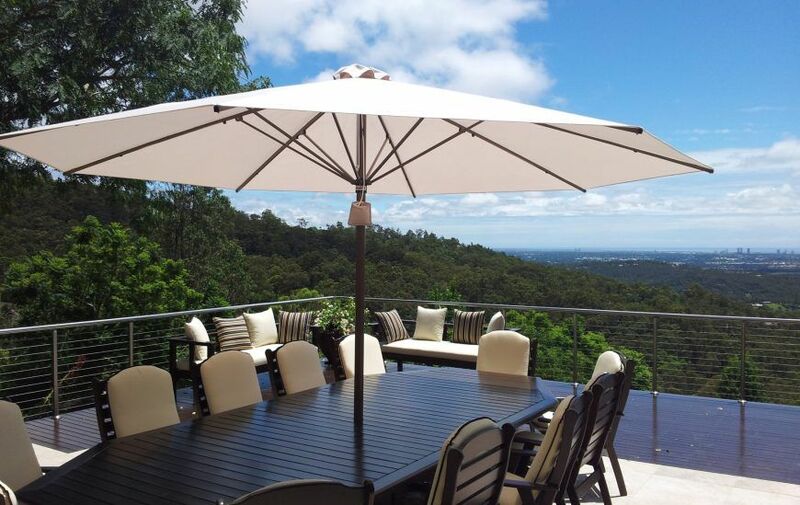 The umbrella features an auto-locking rope pulley system to offer easy operation and reliability. 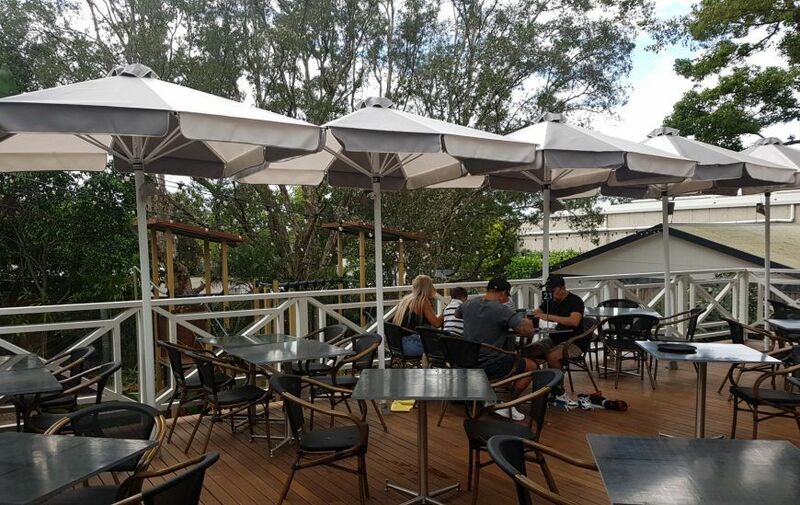 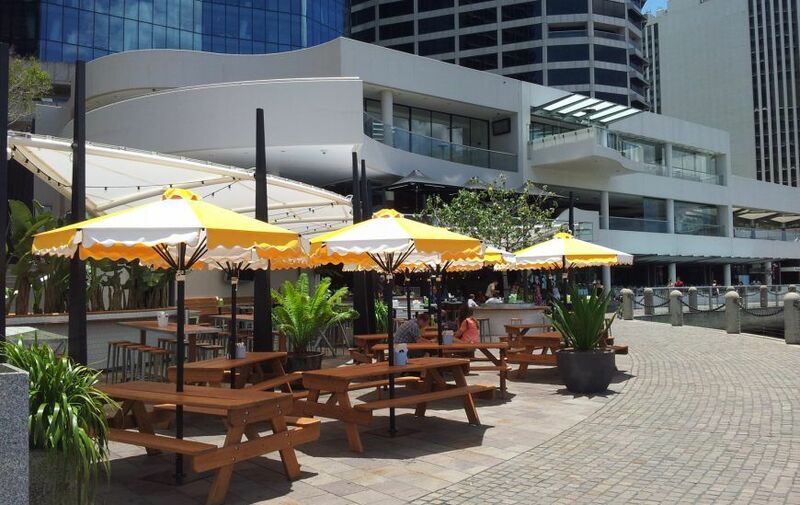 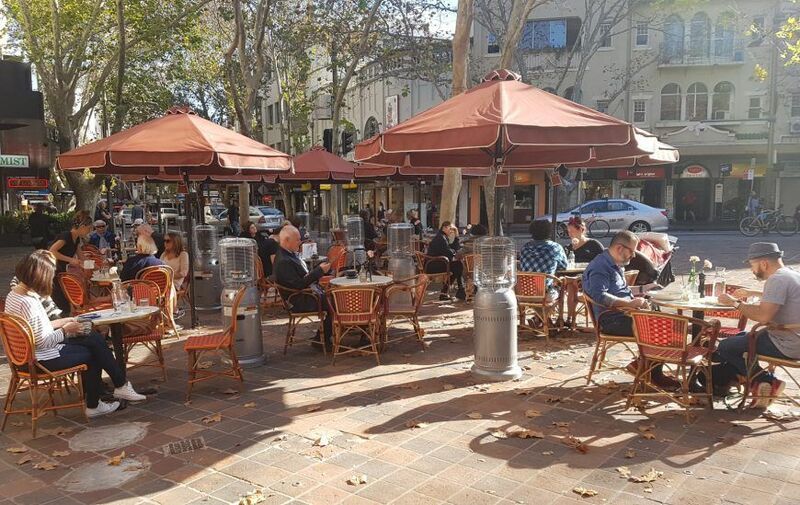 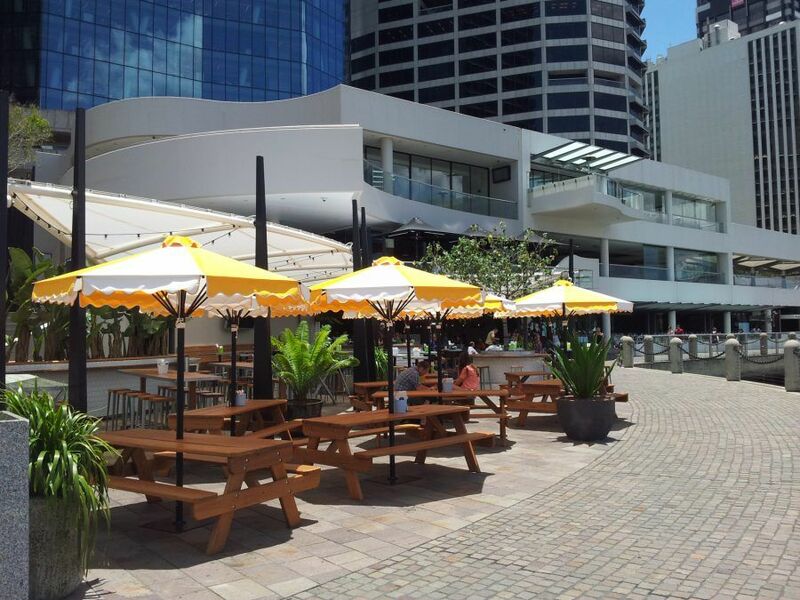 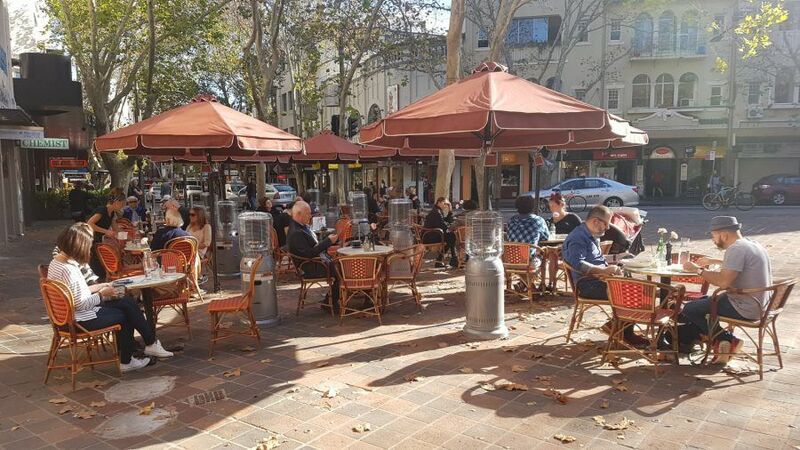 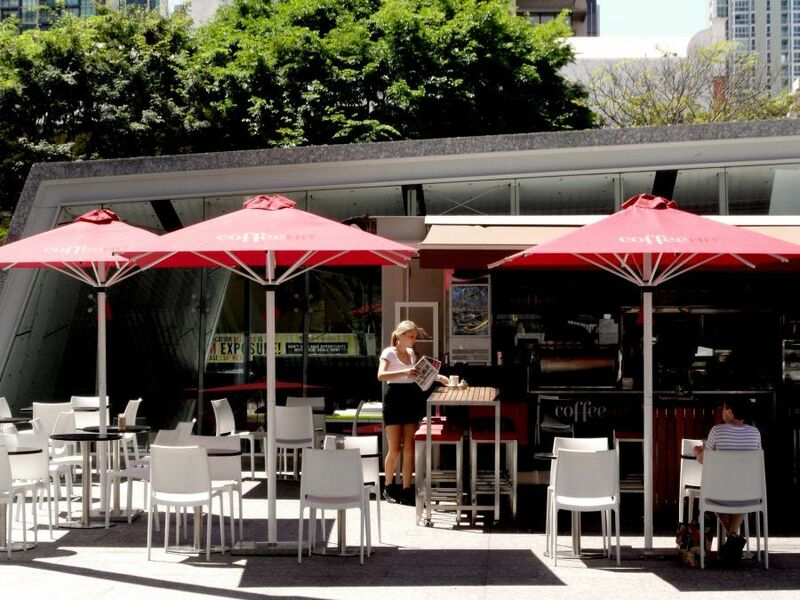 The HE Cafe & Market Umbrella is proudly 100% Australian Made from high-quality materials to offer longevity and to withstand harsh conditions. 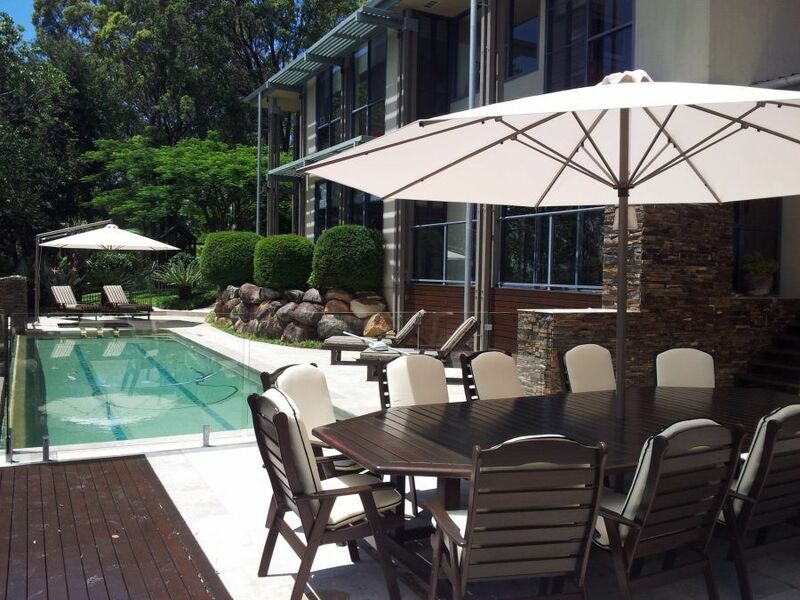 The powder coated aluminium frame is durable and is backed by a 5-year warranty. 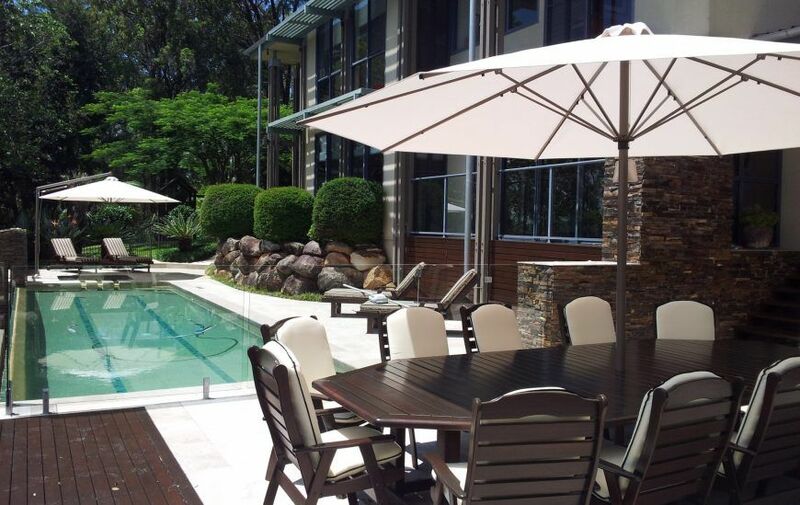 The canopy is made from advanced fabrics and is backed by a 2-year warranty. 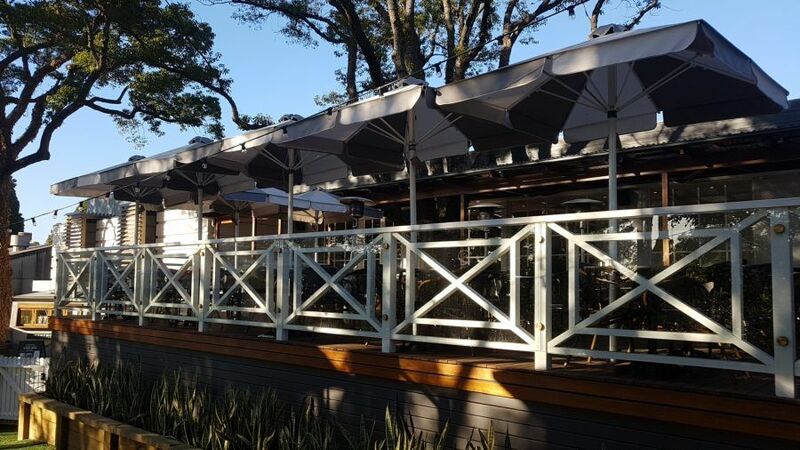 All fittings use marine grade stainless steel to be durable and long lasting. 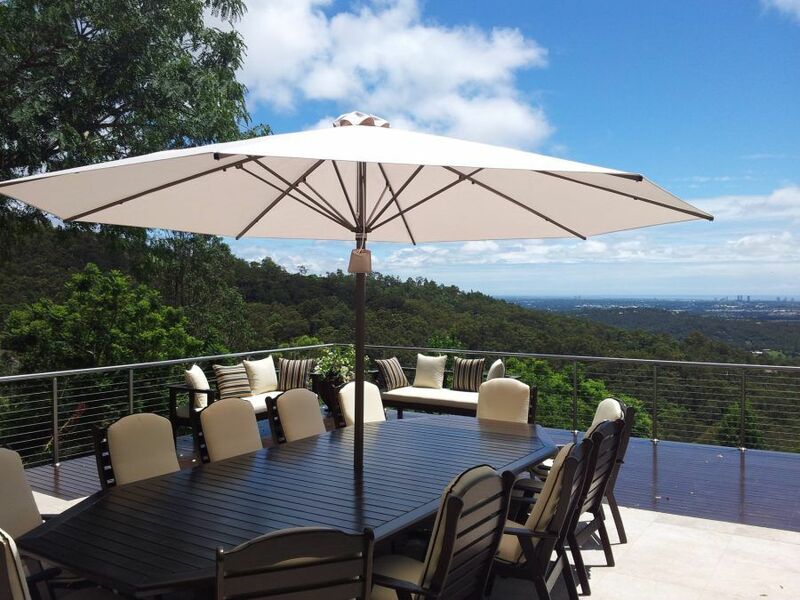 The HE Cafe & Market Umbrella can be customised to complement your café or home. 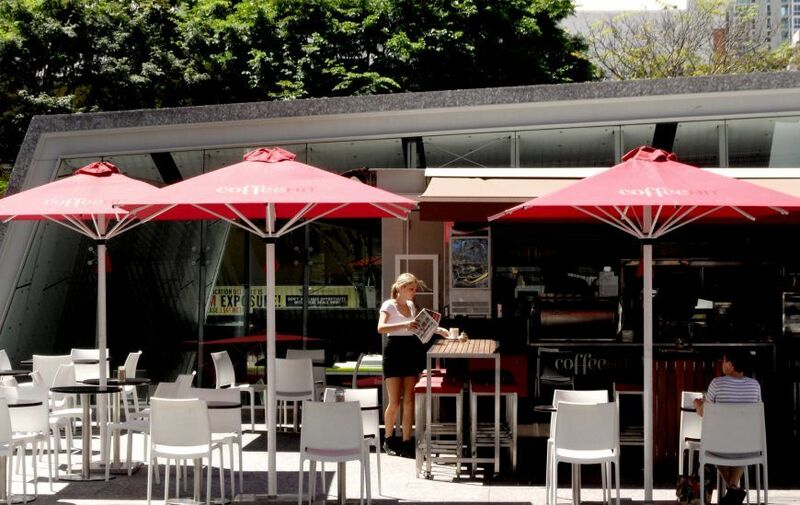 The powder coated aluminium frame is available in 10 contemporary colours and the canopy is available in 15 modern colours. 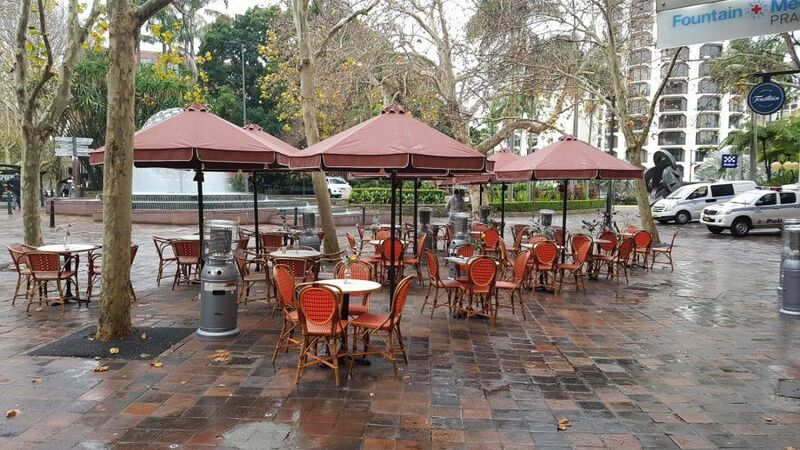 The umbrella is available in a square or octagonal shape variant and is available various sizes, from 1.5 m to 4.3 m. You can also choose between a bolt-down base and an in-ground base. 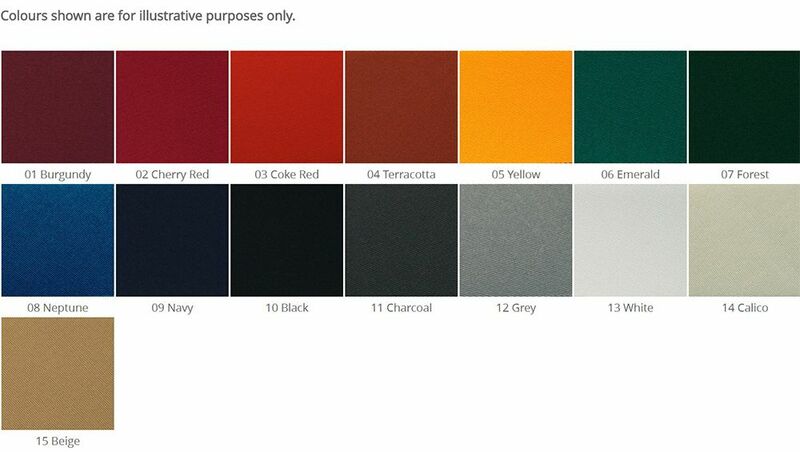 A dust cover is also available as an additional accessory. 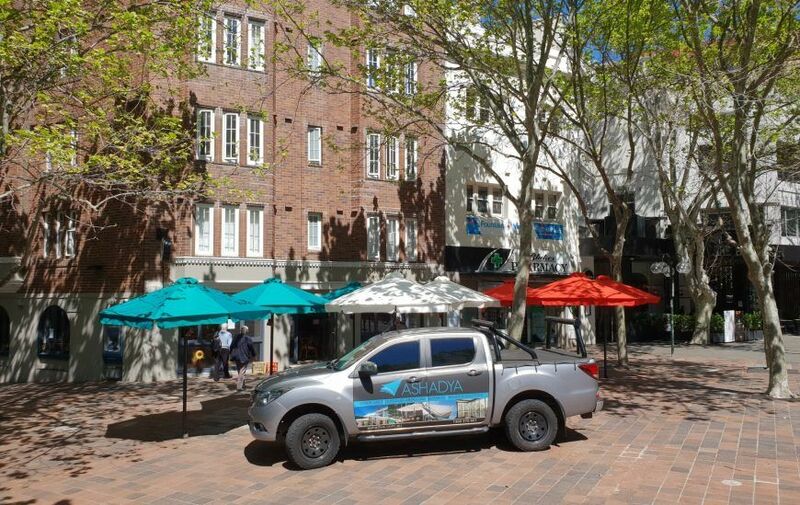 For quality and affordable market umbrellas in Sydney, you can count on Ashadya to deliver. 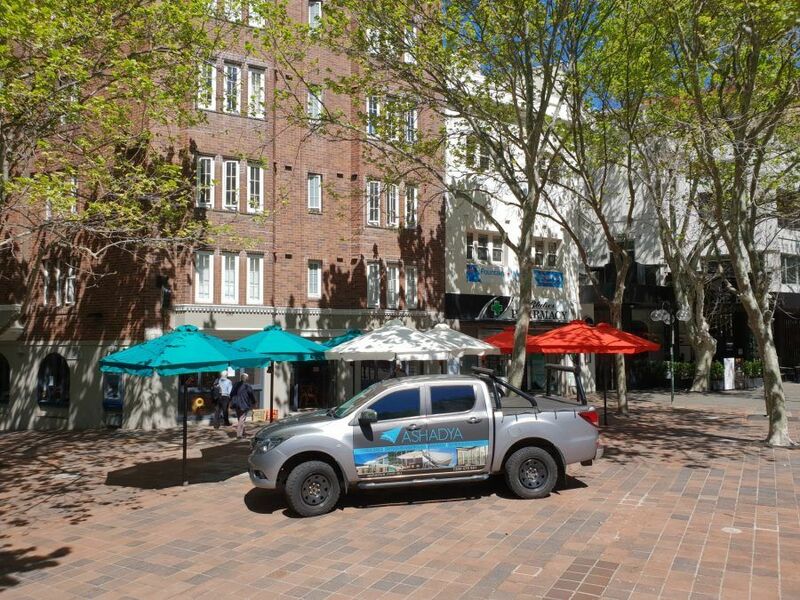 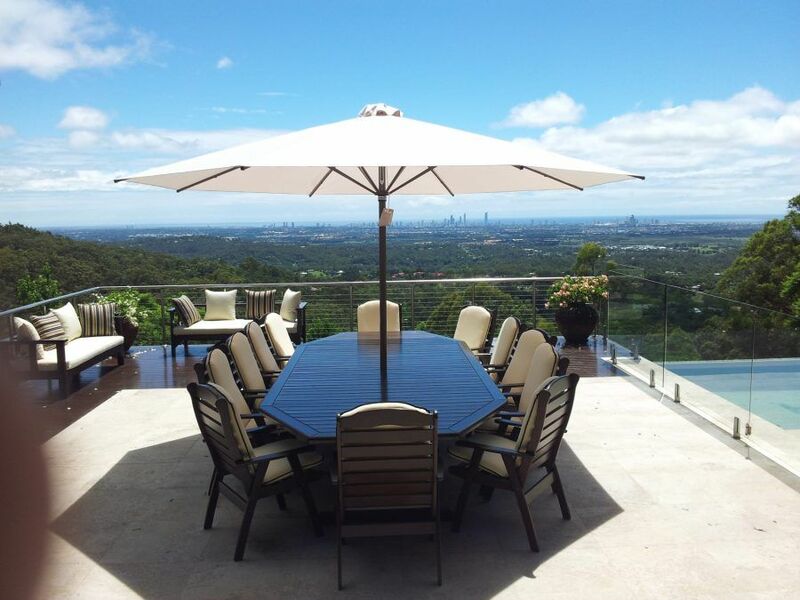 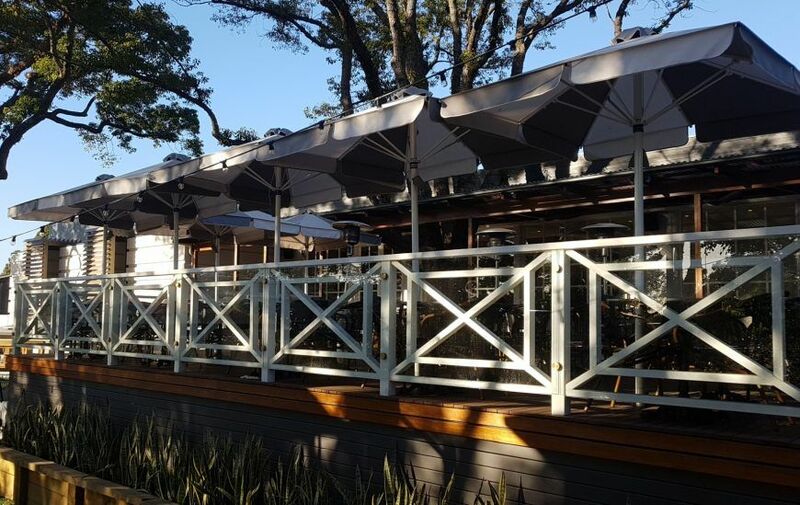 We service Sydney’s Hills District, North Shore and beyond and have over 20 years’ industry experience to deliver the perfect outdoor umbrella for your needs. 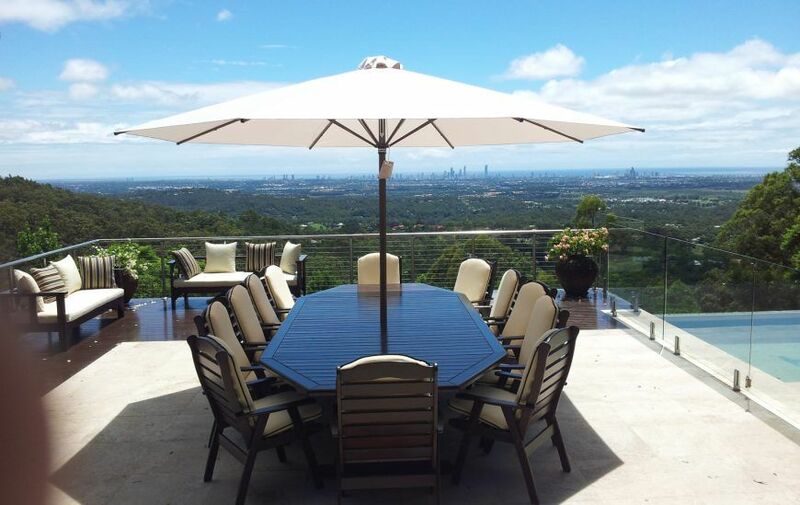 If you live in the areas of West Pennant Hills, Kellyville, Glenwood, Glenhaven, Berowra, Hornsby, Glenorie, Pymble Gordon, Mt Kuringai, Castle Hill, Dural, Mt Colah or North Shore, contact us for a free quote.